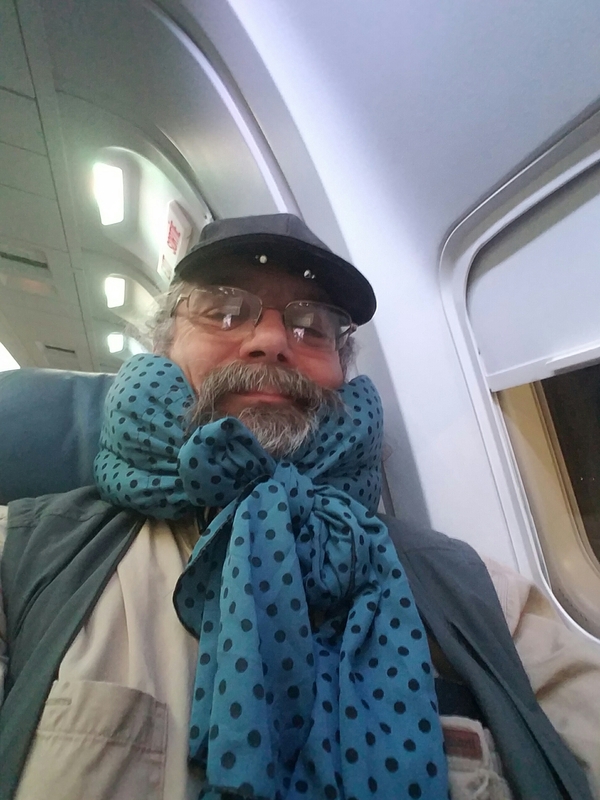 I’m off to County Cork, sporting my locally made SkySkarf, to visit Finbarr, my graduate school housemate, and Janet, his lovely wife. Since I last saw them in 1985, they’ve lived in Seattle, Berkeley, moved back to Cork, and raised 3 children. Finbarr is the smartest and most hospitable man I have ever met. If I arrived home while he was eating, there was a plate set for me before I got my coat off. When my brother and I visited him and has parents in 1983, they took my to his brother Dhiarmuid’s house in Kerry where they took us around the bay by boat. When he had to return to Madison, his friend and family continued to take us around and would, no doubt, have continued to host us had we not attempted to hitchhike to Galway…but that’s another story.